Let me start with the can….21st Amendment Brewery, from San Fransisco Ca,has some very cool packaging! 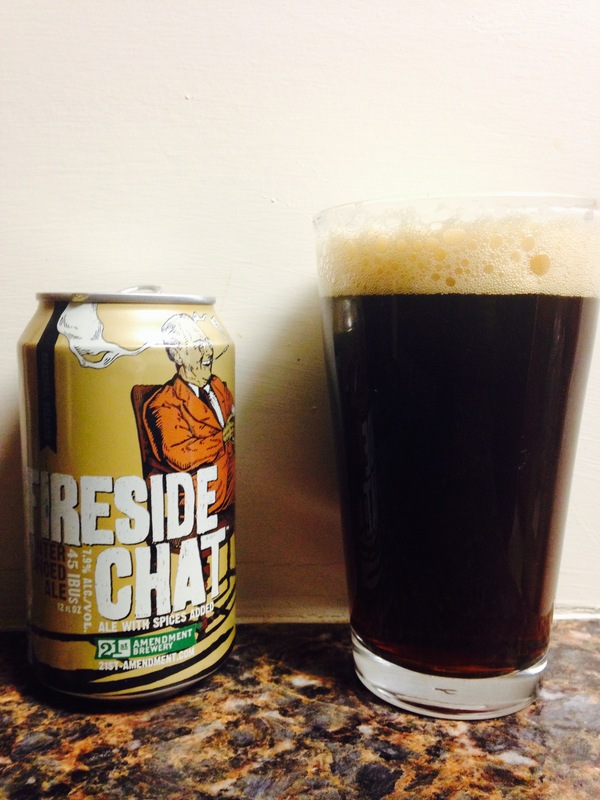 We first tried the watermelon brew (we will attack later) but I digress, the Fireside Chat is…..dark, hoppy, no spice flavor OR smell as claimed but tastes ok. Justin likes this beer more than I do, a little dark and heavy for me but alcohol is 7.9% which is pretty good. I will go with 3.25 stars.